A year ago, we tested the world’s most expensive Jeep in the form of the Grand Cherokee SRT8, a vehicle I stated was apparently intended for those with plenty of disposable income and pay little attention to fuel prices. For the 2014 model year little has changed, save for the fact that gas prices have inched up a bit along with the sticker price of the new model while its badging shaves a character. Plus the new ride gets some new styling and a new gearbox. 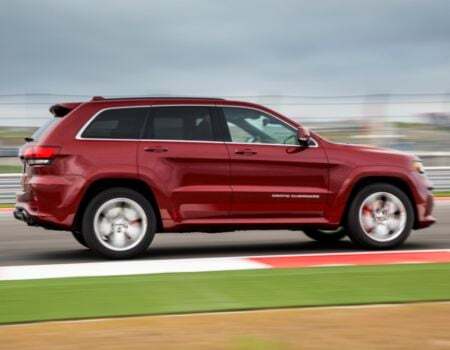 Jeep has given the entire Grand Cherokee lineup all-new styling for the 2014 models for a more refined and luxurious appearance. The performance version from its Street and Racing Technology division is now dubbed simply SRT, dropping the “8” from its nomenclature despite it being powered by the same 6.4-liter monster V-8 HEMI engine cranking out the same 470hp and 465 lb. ft. of torque. Behind the engine is a new eight-speed automatic transmission that can be manually shifted via more pronounced steering wheel shift paddles. The kicker here may be the offering of a new Eco mode for 2014 that extends the range of the engine’s fuel saver cylinder-deactivation technology. Progress says Jeep, heresy says I. There’s no crying in baseball and there’s no eco modes in muscle cars (or muscle jeeps). 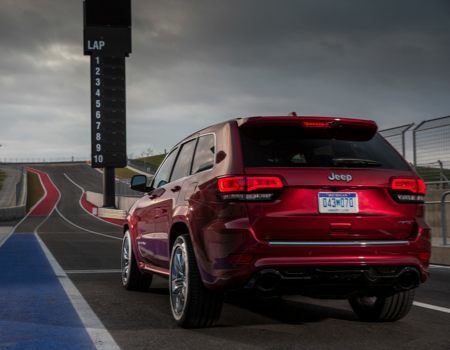 Despite that, the new Jeep Grand Cherokee SRT delivers a thrilling driving experience – street or track – thanks to all of its performance enhancements working in harmony. Sure, it’s a bit rougher ride on paved surfaces but that is the tradeoff one expects from a vehicle of this nature that, despite its track-bred attributes is still very much a daily driver – just make sure to secure your parcels and passengers before engaging “fun” mode. Along with the new transmission comes the new electronic T-handle shifter that, quite honestly, we found to be the vehicle’s Achilles heel. Numerous times we found ourselves clicking into the wrong gear selection, sliding past reverse into neutral. While this posed no serious problems it was quite the hassle. Also new for 2014 is the launch control system that, sad to say, I did not get a chance to test. 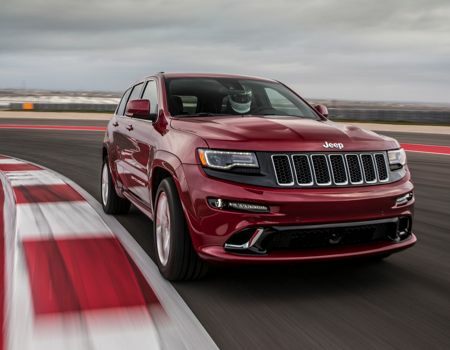 According to SRT this system is intended to mimic a professional driver’s inputs to optimize the Grand Cherokee SRT’s performance by bringing engine, transmission, driveline, stability control and suspension in line for a textbook launch. 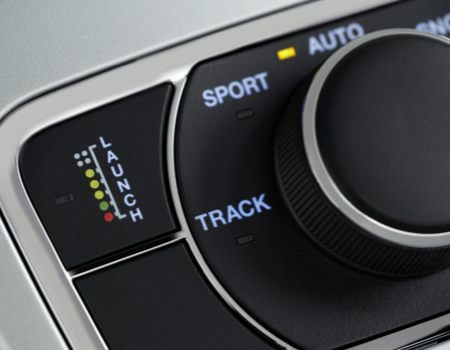 Aside from the performance aspects of the SRT Jeep, the 2014 model sees new driver safety technologies in the form of forward collision warning and rear cross path detection as well as new Uconnect system enhancement for driver connectivity and entertainment. 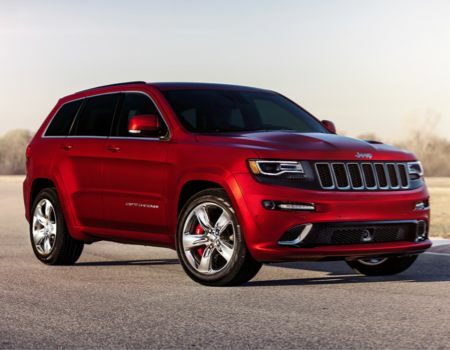 For all of the enhancements made to its 2014 Grand Cherokee SRT, Jeep expects buyers to pony out about five grand more across the board. Our recent tester arrived to the tune of $69,665 after the addition of a trailer tow package, audio system upgrade, dual-pane panoramic sunroof and sportier tires. Fuel economy is a mere 13 mpg city and 19 mpg highway but as I said above this SRT Jeep is for those paying little attention to all of the figures listed in this paragraph. Aside from a finicky new shifter and the change in nomenclature, the 2014 Jeep Grand Cherokee SRT is still one sweet ride, street or track.